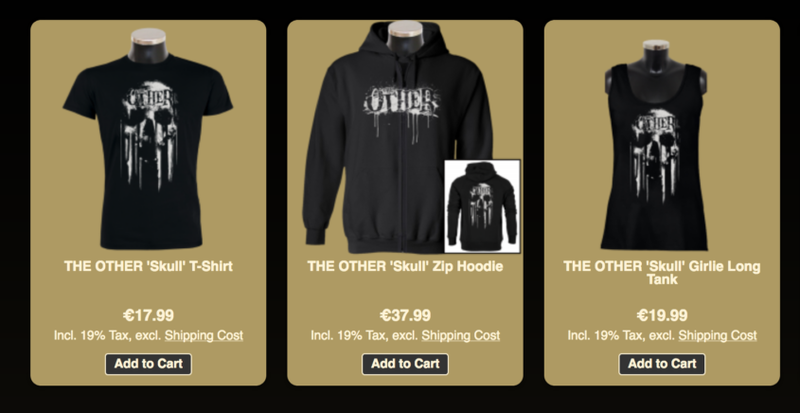 Our new merch is online! The “Skull” design is available as Men’s shirt (Gildan Softstyle), Lady’s extralong tanktop and unisex zipper-hoodie with front- and backprint (Fruit of the Loom). If you want the hoodie, be quick there are only a few left. WE SHIP WORLDWIDE. Change language by changing the flag in the upper right corner.